CHEP and its members are deeply committed to the humane and respectful treatment of all animals in their care. To support this goal, CHEP has launched the CHEP Animal Care Program (ACP), an on-farm animal care assessment program for Canadian broiler hatching egg producers. The CHEP ACP builds on and recognizes the efforts that Canadian broiler hatching egg producers make in caring for their birds. Our farmers understand their duty to provide the best care possible for their animals and they take pride in their work. The CHEP ACP helps demonstrate their hard work and allows for continuous improvement of our industry. The ACP is a mandatory, auditable program for all of CHEP’s producers. On top of performing our own internal audits, third party audits will also be conducted to ensure effective implementation of the ACP. Our program ensures that broiler breeders have a safe and comfortable environment and verifies that farmers are meeting the requirements and following guidelines for space, water, feed, lighting, air circulation, handling, and more. 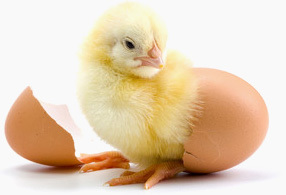 The ACP audit tool is based on the National Farm Animal Care Council (NFACC) Code of Practice for the Care and Handling of Hatching Eggs, Breeders, Chickens, and Turkeys (2016). The Codes are nationally developed guidelines for the care and handling of farm animals and serve as the model for animal care requirements and recommended practices. CHEP had an active role in reviewing the 2016 Code update, along with Canada’s top veterinarians, animal care scientists, and representatives from animal welfare organizations and the Canadian Food Inspection Agency. Through the NFACC process, the Codes are scientifically informed, practical, and reflect societal expectations for responsible farm animal care. To learn more about how the Codes are used, click here. The implementation process of the ACP is underway. CHEP expects that our program will be fully launched and implemented on-farm across our member provinces by the end of 2019.